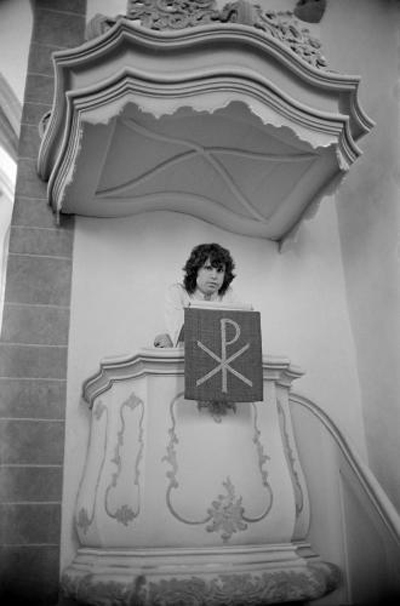 The photo was taken on September 14, 1968 at the 800 year-old former chapel of the city council Alte Nikolaikirche (Saint Nicholas) in Romer Square, Frankfurt, Germany. 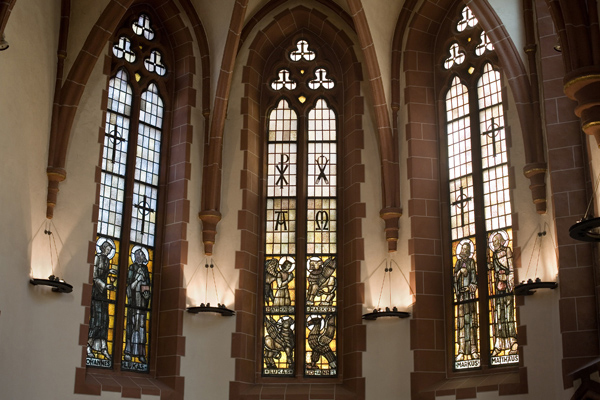 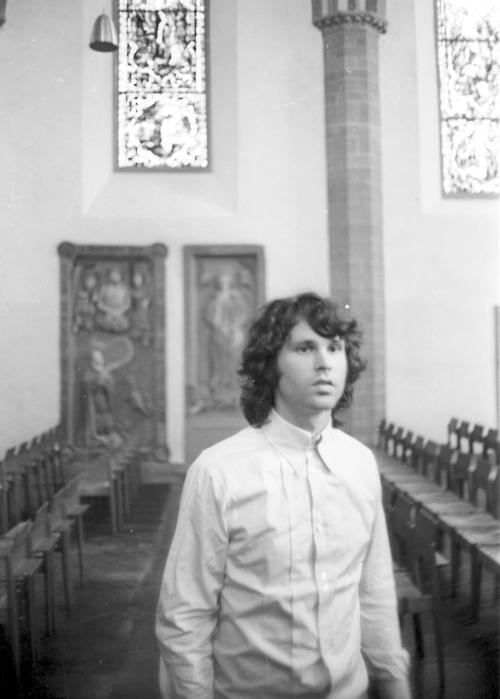 The Doors were in town to perform outdoors for a German TV show and while strolling around Frankfurt’s old town, Morrison found the door to the church open and took a few photos including this one standing at the altar. 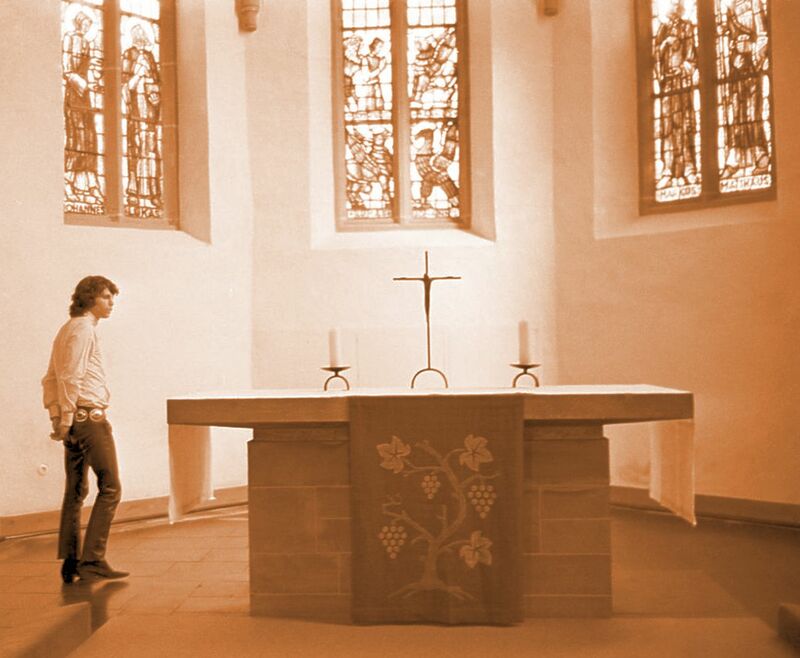 Here is what the altar looks like today. 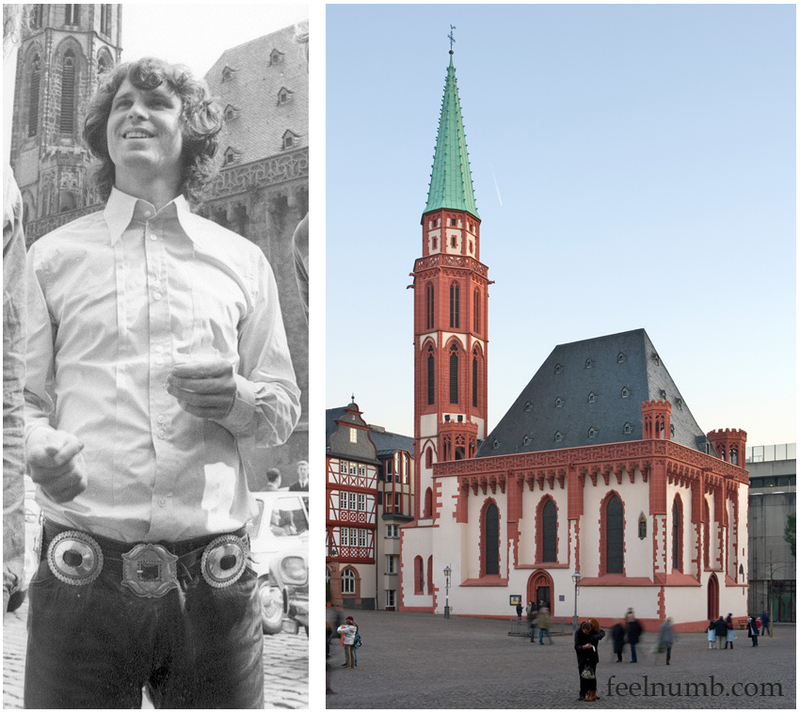 Morrison also had his photo taken in front of the 15th century gravestone of the first mayor of Frankfurt, Siegrfired zum Paradies. 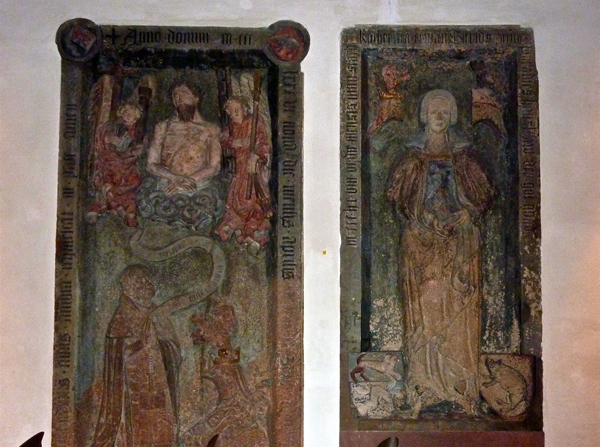 Here is a close-up of the gravestone behind Morrison. 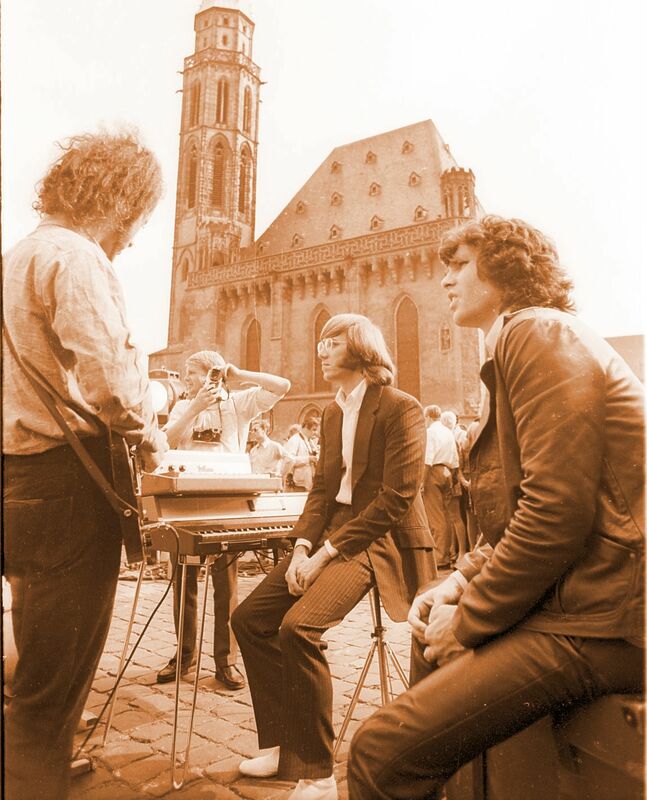 Here is the video of The Doors performing (miming) their latest single “Hello, I Love You” in Romer Square right outside the church.